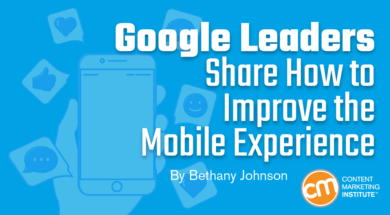 Alana Vieira, Google’s product marketing manager of mobile experiences, says that those high expectations are an indication of an empowered user group who expects helpful, personal and frictionless mobile experiences across the board. Centering your team’s approach on assisting these consumers can transform your results. In her Intelligent Content Conference presentation, Customer Experiences: One Step, One Second, Alana shares how to deliver a user experience that can transcend brand loyalty and outdo your competitors’ offerings. And if that isn’t attractive enough, she argues that your brand’s user experience can (and should) compete with the users’ best-ever experience. To deliver the fastest, most relevant and assistive experiences, each user must be treated uniquely; each step must be considered an experience; and each second must count as much to you as it does to the user. Alana redefines the phrase ”relevant experience” by thinking beyond typical retargeting tactics. The goal isn’t to scale content to reach as many target buyers as possible, but to deliver valuable experiences to an individual based on your shared history. 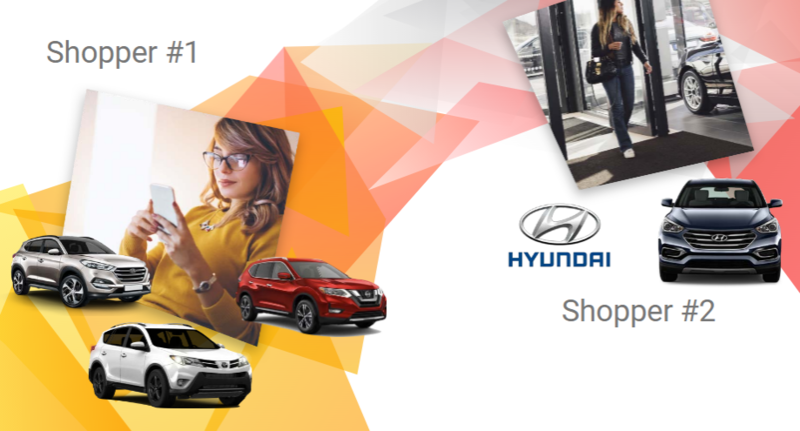 Hyundai’s site is a great example of this. While shoppers early in the buying process are offered an interactive landing page to sort and explore models based on individual preferences, more primed buyers are led to a page that displays local showrooms and seasonal deals. The result? Higher foot traffic in those local dealerships, where increased volume affects the bottom line. Ninety percent of leading marketers (those who in the last year exceeded their business goals) report personalization making a significant contribution to business profitability. The question is no longer whether to invest in personalization, it’s how to invest. “Spend time with your user data and your site analytics,” urges Alana. “Maybe even recruit a data science team to help you understand how you can create these relevant experiences for users.” Of course, it’s important to do so in a responsible way with data that is intentionally shared with your brand. “It seems you can get almost anything with a single click these days,” taunts the site’s landing page. “But we thought that was one too many.” And with that, the brand introduces consumers to a zero-click ordering method. You know what site visitors do if a page fails to load within a certain time. But what you likely don’t know is how impactful a longer load time, as perceived by the user, is. Compared to the user’s expected load time, a single second delay can ding conversion rates by up to 20%. If a site takes longer than three seconds to load, over half of its visitors will bail. Perhaps most eye-popping is the experiment conducted by Google’s Avery Cavanah, product marketing manager and mobile web lead. 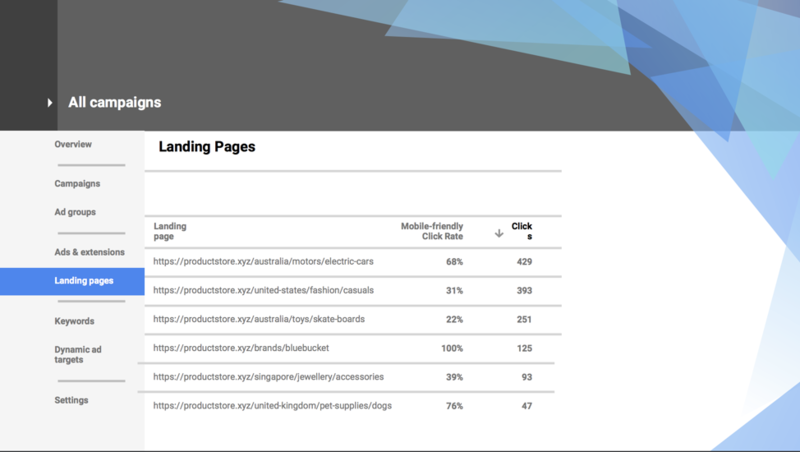 Avery tested the websites of companies represented in the Intelligent Content Conference audience. As motivating as these statistics are, Avery offers one more. Speed directly affects a page’s organic mobile search rankings. Thankfully, two new tools can help developers and marketers come together and, for the first time, tackle site speed as the combined business opportunity it truly is. Plug in your site, a favorite industry website, your competitors’ sites, or all of the above. 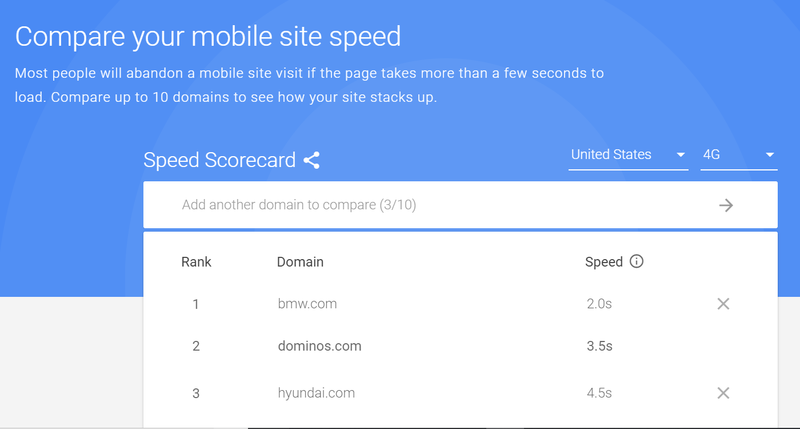 Google’s new mobile speed scorecard sorts up to 10 URLs by loading speed. Knowing where your site stacks up against the competition is the first step to prioritizing a frictionless user experience. If the speed scorecard indicates your site could be penalized, you’ll want to know roughly how the sluggish performance influences your bottom line. And below the eye-opening speed rank list, Google offers exactly that. 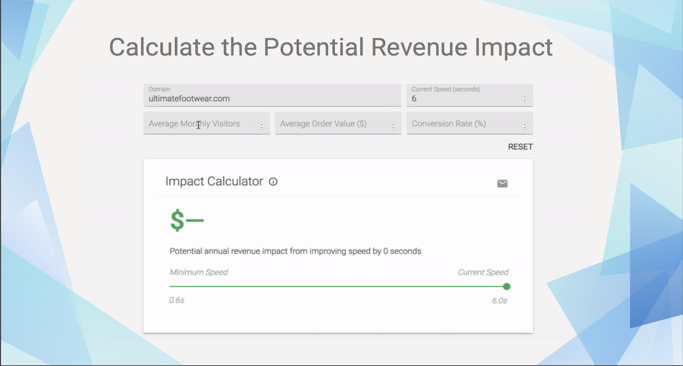 A modest scroll down reveals Google’s revenue impact calculator, a handy tool that combines factors like your current speed, average monthly site visitors, estimated value of a completed order, and conversion rate. The result is a monetary figure you can use in your case for building a faster user experience. 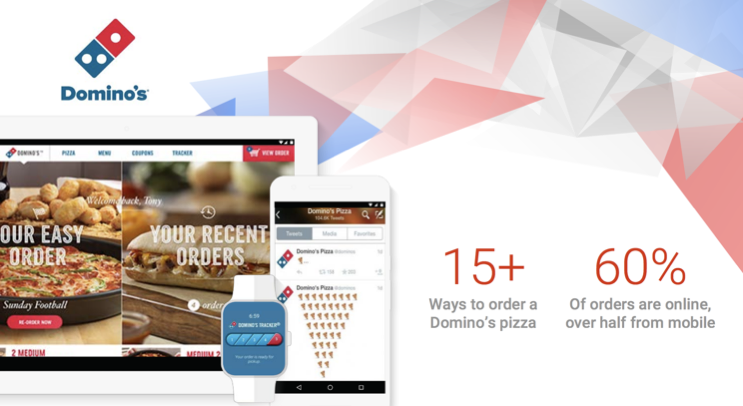 Example: Let’s create a scenario with our favorite pizza brand exemplar, Dominos.com, which averages a four-second mobile load time. If the site enjoys an average 3 million monthly visitors and each order is around $35, it could pull in over $21 million more by shaving – get this – 1.5 seconds off the mobile load time based on Google’s revenue impact calculator. What is the landing page problem leading to slower load time? Google’s new landing page report, found in context in AdWords with your familiar targeting and creative reports, can help you answer that. Learn what ads are driving your visitors, how they engaged with your content, and how each page served them. Most importantly, see what can be improved. Google has never sounded an alarm without providing tactical solutions. And to help equip marketers improving load times, Avery offers AMP or accelerated mobile pages – landing pages that load 85% faster than standard mobile pages. To experience an AMP, check out BMW.com on your mobile device. You’ll find a high-performing, lightning fast user experience that doesn’t require a tutorial to navigate. Within two seconds, site visitors are immersed in well-produced, entertaining, inspiring content that seems to leap off the page. One look at your team’s most recent target audience persona development exercise will remind you the typical customer today is conditioned to expect the best experience with every commercial encounter. The good news is that with these tips straight from Google, you and your site can be ready to meet those expectations. To learn more about how mobile-first indexing will affect digital marketing, rally your team to attend 2018’s CMWorld, and be sure to hit up the session Google’s Mobile-First-Index: Optimize Your Content for Next Level Mobile Marketing. Save $100 off each pass when you use promo code BLOG100.